Navis, part of Cargotec, has entered into a subscription agreement with Cosco Shipping Ports Ltd. (CSP) for the Navis N4 terminal operating system (TOS), informs Cargotec Corporation in its press release. With the help of Navis N4 CSP aims to further enhance the efficiency of its port operations. The Chinese CSP is one of world’s leading ports operators. Today it operates and manages 269 berths (179 for containers) at 38 ports worldwide, with a combined annual handling capacity of approximately 103 mln TEU. As we wrote earlier, in 2017 CSP reached the throughput of 87.312 mln TEU across its overall terminal portfolio, up 12.6% from last year. The company is forecasted to become the world’s leader among the global terminal operators by 2020, according to Drewry Shipping Consultants. With the N4 order, CSP intends to replace its previous TOS solutions from other vendors in line with its goal to increase standardisation across its global portfolio. 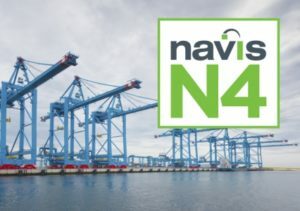 Navis N4 helps terminal operators increase their scalability, integrate and administer multiple sites with one system, reduce administration and support costs, and streamline their terminal operations, among other things. This deal was announced as Navis hosted its inaugural 2018 Automation Summit in London on March 13, which brought together many of the world’s largest automated and semi-automated ports and terminals, along with executives and experts from Navis, to discuss the current state terminal automation and how terminal operators can capitalize on the next wave of innovation.